Another 7 am walk followed by Lean Coffee got me going for day two of the conference. 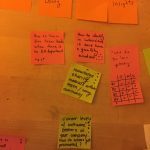 One of my takeaways from Lean Coffee was from Viktorija Manevska, who started asking her team this question every day at standup: “What did you learn yesterday?” Though her team treated it more as a joke at first, it led to more interesting standup discussions. Writing this reminded me I want to try this with my team, will start with that tomorrow! 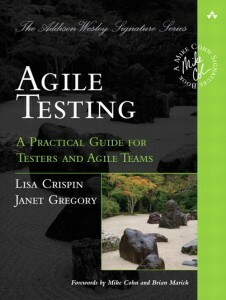 I missed the keynote the 2nd conference day to prepare for my Continuous Testing workshop with Lisi Hocke. This was a hands-on workshop, so there were lots of materials to distribute and get to all the tables and onto walls. 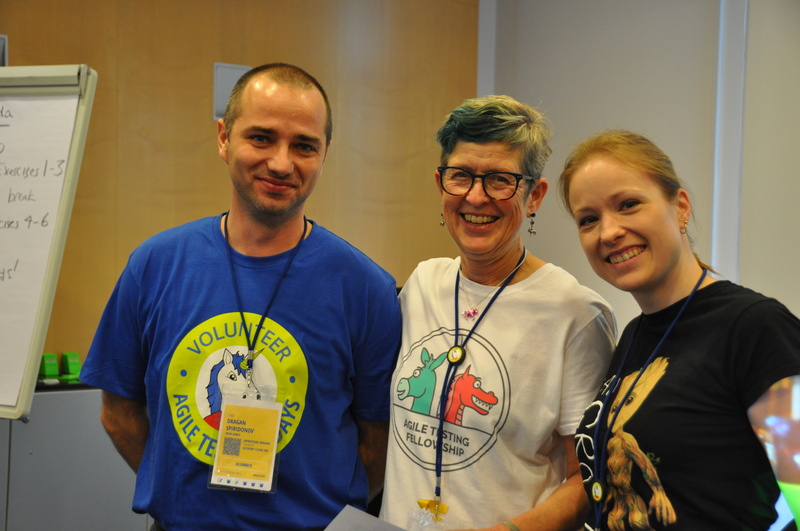 Luckily, we had Dragan Spiridonov as our awesome volunteer. He helped us facilitate as well as prepare and clean up. With around 80 people in the room, we couldn’t have succeeded without him. 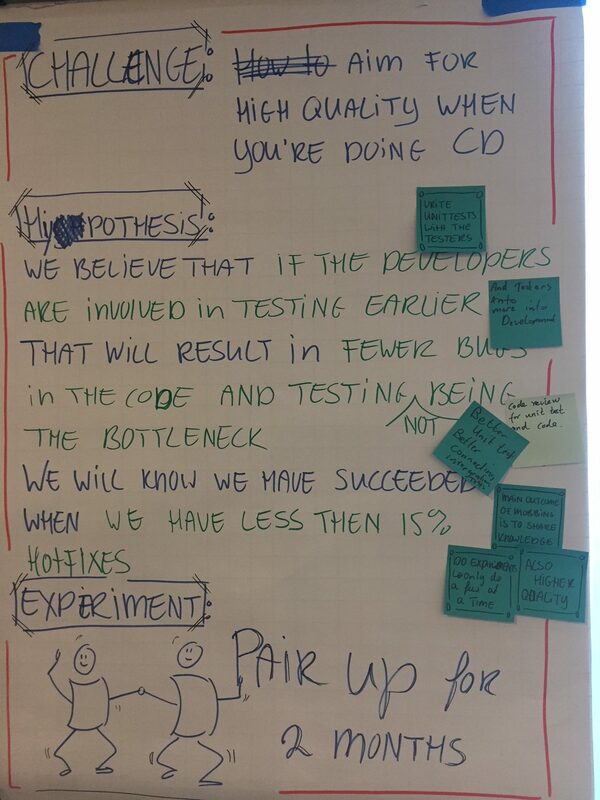 We had two hours of amazing energy in the room as teams identified their biggest obstacles to testing in a continuous delivery environment and came up with hypotheses and experiments to address those problems. 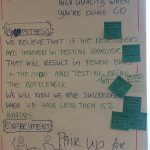 Each team did a super job of explaining their problem, hypothesis, experiment and – so important – how they will measure whether the experiment is succeeding. I hope participants will try their experiments back on their own teams! Our slides are available, but, the slides without the experience of participating aren’t that interesting. 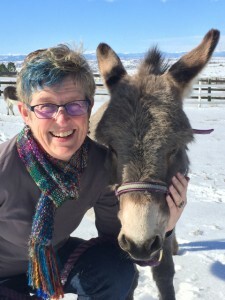 Lisi and I would be happy to repeat the workshop at another conference! I had planned lunch with Steph Desby (I’m happy to say she has agreed to pair with me on a workshop for the next Agile Testing Days!) and – at least one other person, if it was you please remind me! – it is all a blur now but I know we had a great conversation. 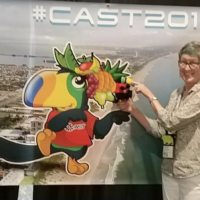 I love the chance to hear about sessions I had to miss – so much was going on during each time slot. Katrina Clokie kicked off the afternoon with lots of great ideas in her keynote on testing in DevOps. She began with a story from her school years, when a teacher explained the world is made of atoms you can’t see. Just because you can’t see testers in the Venn diagram of Dev and Ops doesn’t mean we aren’t there! I highly recommend reading Katrina’s excellent book. 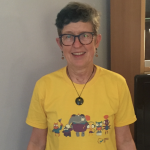 She illustrated ways testers contribute in DevOps with several real-life stories, including one about A/B testing experiments. One interesting term she used was “risk appetite” – that could apply to a company or teams as well as to people using our products. 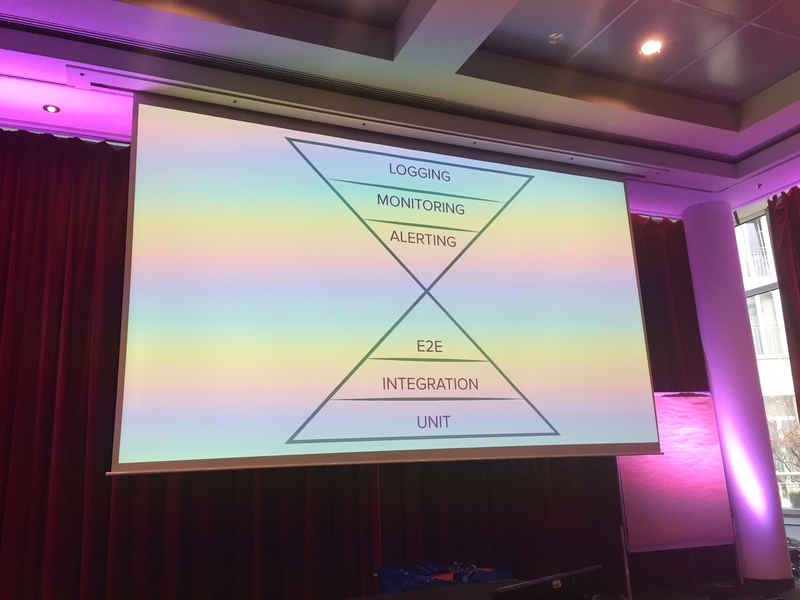 I particularly like her mirrored pyramids model with logging, monitoring and alerting combined with unit, integration and end to end testing. 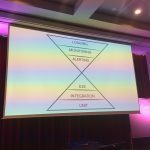 We need to find the right combination of all those activities and tests to make sure we delight our customers. 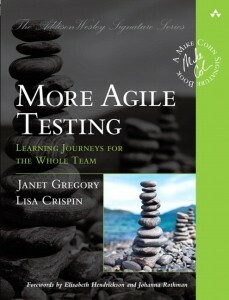 I spent most of the afternoon talking to people at our Agile Testing Fellowship table, telling them about how Janet Gregory and I are expanding the reach of our three day training course. When that’s all ready to roll, you’ll read more about it here, but feel free to ping me if you have questions! I did get around to talk to folks during the breaks. 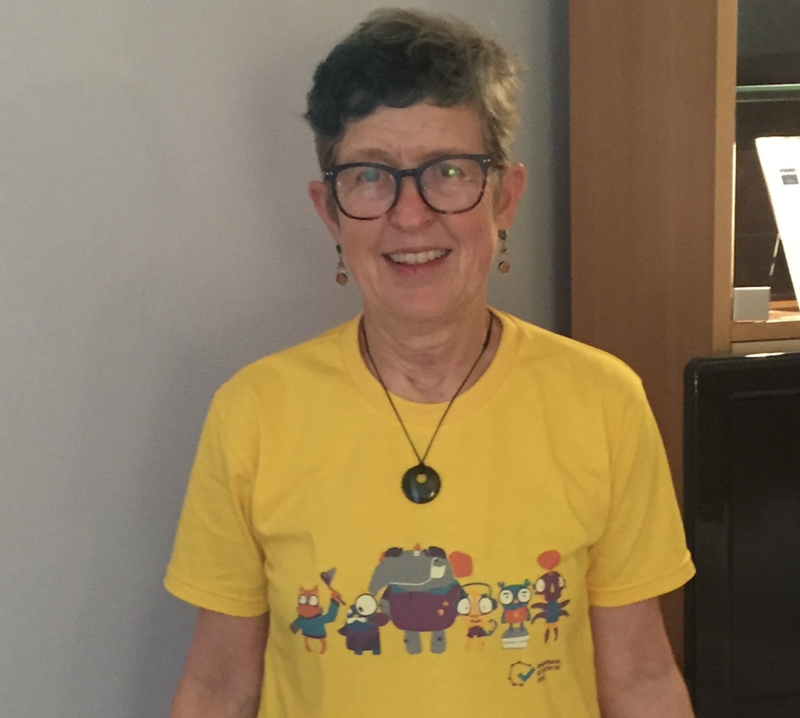 I was thrilled to run into Rodrigo Cursino and his colleague Viviane Lyrio who gave me this amazing t-shirt from the brilliant CESAR testing community. One thing I like about this conference is the diversity of participants. 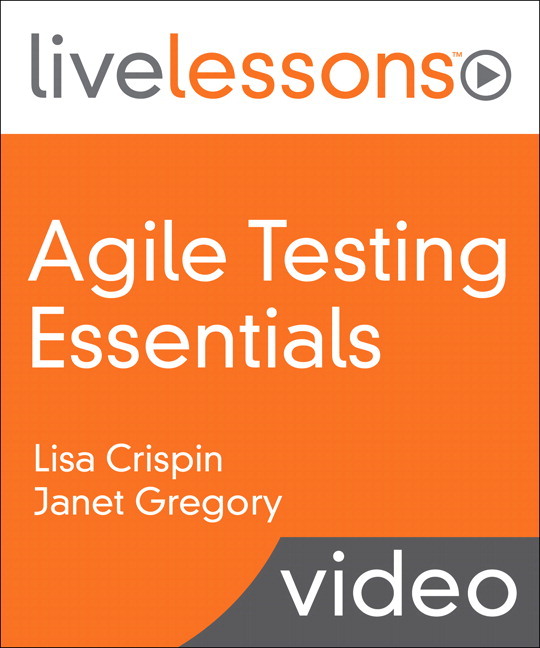 “Testing” is in the name, but there are people in all sorts of roles who are passionate about testing. Natalie Warnert said she’s not a tester, but she knows plenty about how to delight our customers. 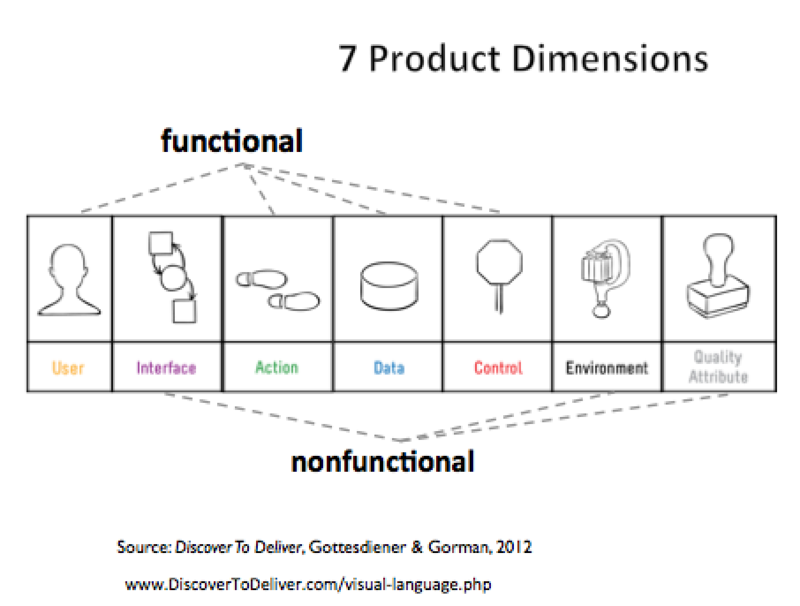 She pointed out that cross-functionality on teams goes way beyond developers and testers. I loved her story about how all employees at Waste Management have to ride along on the trash trucks to understand how the company serves customers. One driver noticed another brand of dumpster as he made his rounds, and immediately picked up his phone and called someone in sales to tell them about the opportunity. Natalie advises us not to reward the developer who fixed the bug and saved the day. I’ve worked in that hero culture, and it’s really hard to change. We need to go even further and break down our own individual silos of identity. Good ideas can come from anywhere. Cross-pollination is vital for teams. I love being a butterfly, taking ideas and issues from one group to another within my own team and getting the right people together to talk about them. Natalie had a great story of a janitor at NASA who, when asked what his job was, replied “I’m putting a man on the moon!” Natalie reminds us that we need the courage to care. Natalie has done such awesome work with the Agile Alliance Women in Agile initiative and conferences. Ping me if you’d like to join the Women in Agile Slack channel. The sponsor reception following Natalie’s keynote featured good finger food, wine and beer. I enjoyed a lot of great conversations. 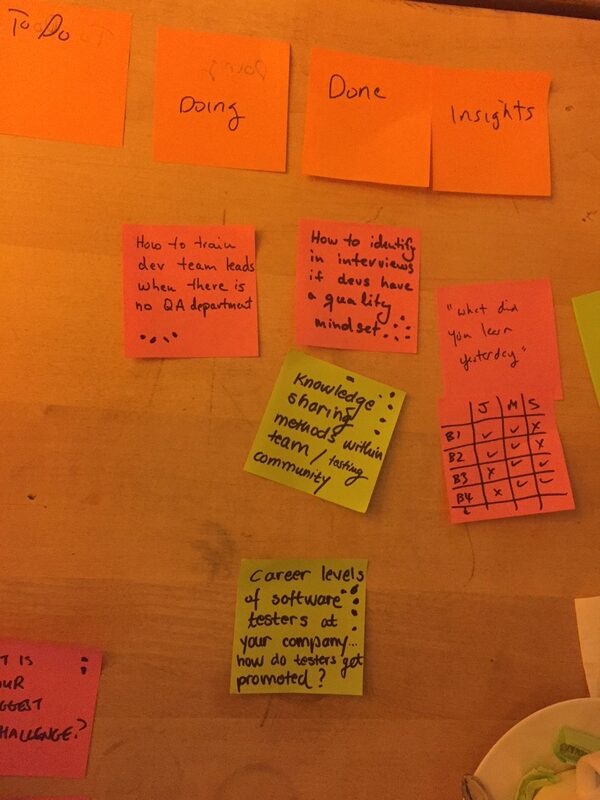 The main evening event was the Agile Games Night. So many people told me that this was a perfect opportunity to meet new people in a low-stress setting. There were plenty of innovative games and it’s such an inclusive activity. I had to skip the late night Cabaret, since I had to get up at 5:45 in order to do all that walking and Lean Coffee-ing the next morning, but I heard it was a hoot. 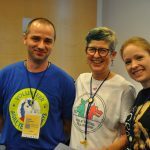 You can find great photos of the action there and at other conference events on the official conference photos site. Cirilo Wortel also took brilliant photos. As did Eric Roeland, find his here. These folks have generously let us see the photos, please remember they are for private use only and respect the copyright. I was hoping to get farther along in the conference week, but that will wait for my next post!